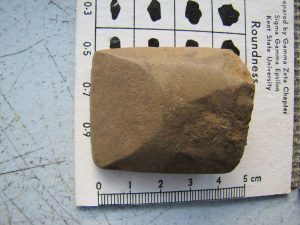 On our last day of coring we found pottery. For the last few days we’ve been coring the northern area of the Aleipata coastline, generally inland of the swampy area here to locate sand deposits. We cored around a small hill that looked suspiciously like an ancient dune (no such luck). After looking around we found a plainware sherd on the surface, a lithic flake and a flake from an adze (to`i ma`a). 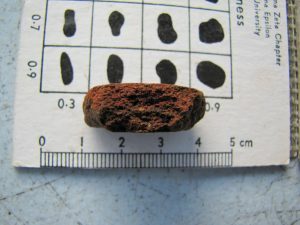 A plainware sherd found on the surface at Aleipata (no calcareous temper). There are also some rock alignments in the area that could be the remains of structures. A few tens of metres away on a path we found a broken adze. 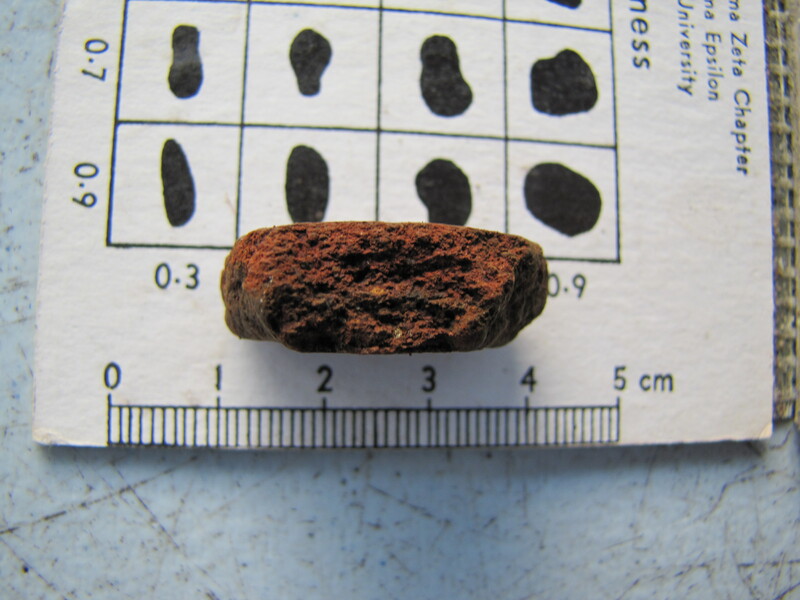 A broken adze (to`i ma`a) found on the surface in Aleipata. 353 students: what Duff type is this? This is definitely an area to examine further when we come back for more work in 2014. As the coring is now finished I need to analyse the data to estimate the subsurface layer topography and determine the best locations for excavation next year. There are a few potentially early deposits on which we are likely to focus, but no obvious Lapita yet. That remains to be found. This entry was posted in Digdiary, Samoa Aleipata Project 2013 by ethan. Bookmark the permalink.